The Johnson Green Beam Floor Line Laser projects two lines on the floor at a 90-degree angle for surface layout, including tile, stone, brick, carpet and hardwood flooring. With GreenBrite technology, it is 400% more visible than red beam lasers and is ideal for indoor use. 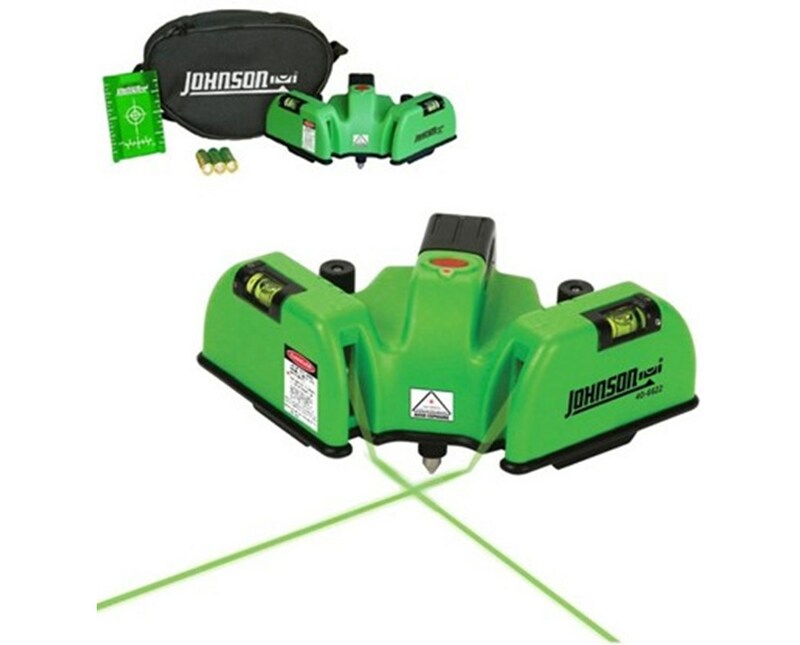 With a working range of up to 150 feet, the Johnson Level green beam line laser generates two laser beams over wet mastic or concrete with ±1/6-inch accuracy at 20 feet. 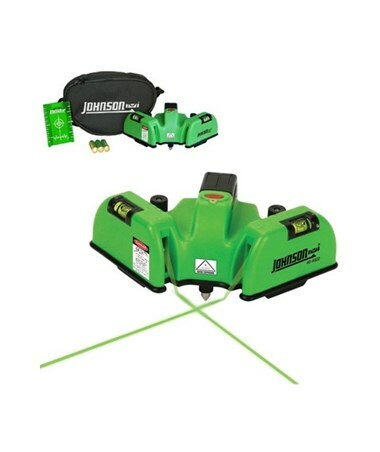 This line laser level emits simultaneous horizontal and right angle alignment for floor layout. It also has a simple one button operation and top mounted vials and leveling screws. 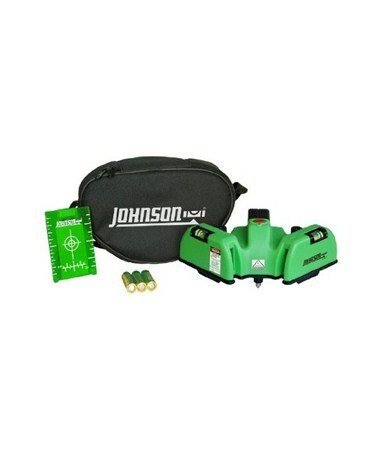 This Johnson Level line laser comes with a floor target, soft-sided carrying case, batteries and 3-year manufacturer's warranty. Interior range up to 150 ft.